Gorakhpur: An Anaesthesia Department doctor of state-run BRD Medical College claimed to have put in his papers today along with his three colleagues on grounds of alleged humiliation by the principal, who denied receiving any resignation letter or humiliating them. “We four doctors have resigned as we were irritated from the attitude of the principal,” claimed Dr Narendra Dev, adding that the three other doctors who put in his paper are Dr Priyanka Dwivedi, Dr Raka Rani and Dr Pervez Khan. The Anaesthesia Department of the hospital had only six doctors, out of which one had been suspended in August last year in the wake of spate of deaths of young children in the hospital. With four of them “resigning” today, the hospital’s crucial department has been left with only one doctor. “We had given given our complaint a week ago and when he called us to hear our problem, he ousted us from his office like a ordinary students mid-way while hearing it,” said Dr Dev. Dr Dev said after the four of them put in his paper, the principal bragged that he would run the department with help of third-year students. “He is forgetting that BRD Medical College is not only a hospital but also a medical college where students have to be taught,” said Dr Dev. 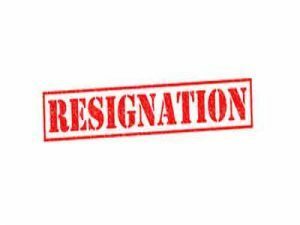 Principal Ganesh Kumar, however, denied getting any resignation letter. “I have not received any resignation letter. Disputes usually take place between anaesthesia doctors and surgeons,” he said, adding that the Anaesthesia Department doctors did come to meet him around 11.30 am today but due to the minister’s visit, he called them at 3 pm. “But none of them came to meet me later. I will call all doctors and HOD and other people involved in the matter and sort out the issue after a meeting with them,” Kumar said.